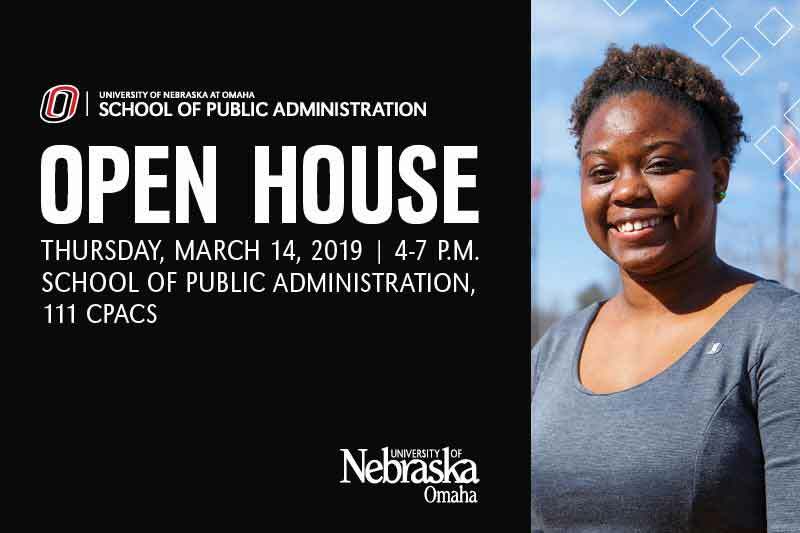 The UNO School of Public Administration invites you to an Open House on Thursday, March 14, 4-7 P.M. in the College of Public Affairs and Community Service building. This event provides an opportunity for prospective students to learn about the School of Public Administration, alumni to reconnect with the School, and for current students to connect with alumni who are professionals in the community. This is an open house style event. All are welcome at any point during the event agenda, and guests are not required to stay until the end of the programming. Prospective students, current students, and alumni are all welcome to attend. We hope you join us for this new and exciting spin on our typical event lineup! 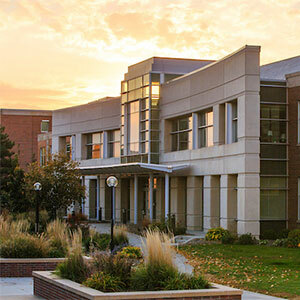 Prospective students are welcome to learn about the many graduate offerings of the School of Public Administration and our nationally-ranked, nationally-accredited programs. Information about specific classes, admission criteria, and what to expect as a graduate student in the School of Public Administration will be discussed. Learn what current students in the Master of Public Administration, Master of Science in Urban Studies, Graduate Certificates, and PhD programs have to say about the School’s classes, faculty, assignments, and rigor. This will be an open dialogue for prospective students to ask questions and learn from our current students. Learn from alumni in the field and how the School shaped their current career aspirations. This will be an open dialogue for prospective students of the program, and current SPA students to ask questions and learn from our alumni. The student/alumni panel can be live streamed via Zoom. Join us for a fun and light-hearted evening to chat with our alumni who work in the field of public administration, while networking with our current and prospective students. Light appetizers and refreshments will be provided. Want a chance to have your application fee waived? Register online before 11:59 PM CDT on March 13 and check-in at the welcome table during the event. Three winners will be selected at random to have one application fee waived for the Fall 2019 academic term. Parking is available in the East Garage. View a campus map for more details.